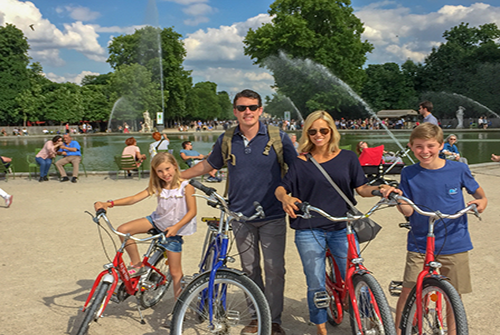 David Mebane ’98 found true love twice during his time at Texas A&M University: He found his wife, Kelly, and he found Paris. 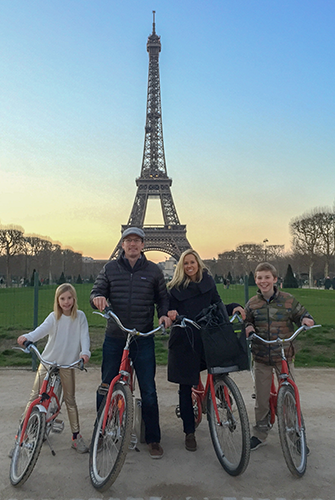 David Mebane '98 and his family in Paris. Admittedly, his background was lacking. “I took French 101 my freshman year of college,” Mebane said. “It was a total catastrophe. Everyone else in my class had taken French in high school, and I couldn’t count to one. 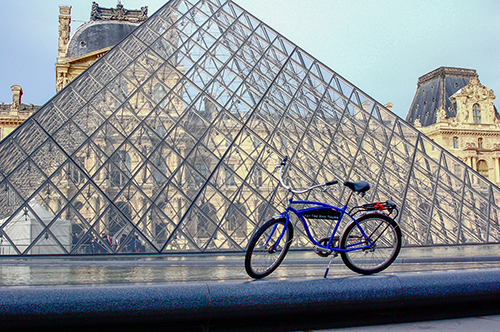 I dropped it.” Thankfully, he found better luck picking the language up as he split his time between Normandy and Paris, learning key phrases and practicing his accent with young students. Though he didn’t see much business as a tour guide that summer, he became enamored with the country’s proud culture and history. The following semester, Mebane enrolled in French courses at Texas A&M with stronger skill and resolve. He returned to France in 1997 as part of a study abroad program through Mays Business School, and again in 1998 to intern with the major accounting firm PricewaterhouseCoopers (PwC). The work was good, but it wasn’t what he wanted for his future. He didn’t know exactly what he was passionate about until he discovered it by accident. Friends from America visited occasionally that summer, and when Mebane wanted to show them the city, he had them rent bicycles so they could cover ground faster and still move as a small group. 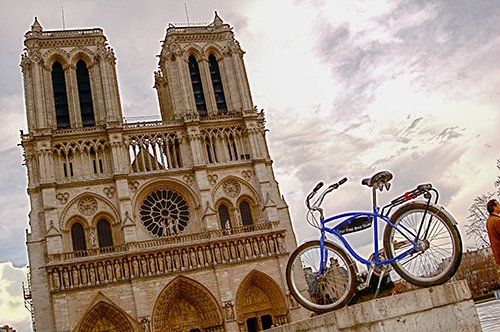 As he and his friends flew through Paris’ cobblestone streets, occasionally stopping to gaze at its most iconic wonders, Mebane felt inspired to make his living sharing the city’s beauty with others. 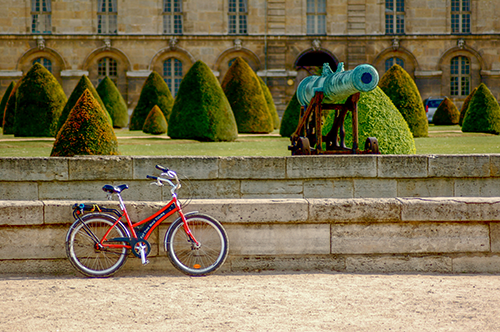 He decided to start an English-speaking tour guide company that would provide small groups of patrons with comfortable bikes and replicate the same experience. In contrast to impersonal bus tours that passively cycled through languages as they drove by attractions, his tours would actively engage each customer individually. Mebane took out a $25,000 loan from Bank of America (“I don’t think I had seen a comma in my bank account before,” he joked.) to start his company. 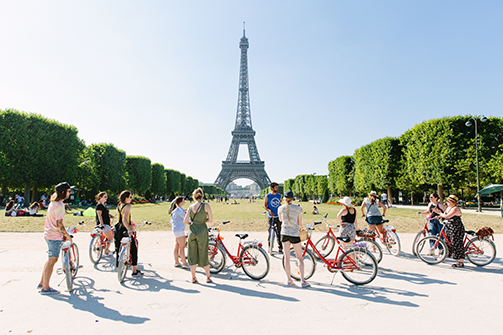 As soon as he graduated from Texas A&M in 1999, he left his internship at PwC and returned to Paris with three friends he hired as tour guides to start Fat Tire Tours. On May 25, 1999, Mebane rose long before the sun to meet tourists arriving on overnight trains from Germany, Madrid and Barcelona. He put on his brightest smile as he handed out maps and pitched his bike tours to potential customers. Tourists responded kindly, with many promising to catch a tour later in the day. Feeling satisfied with his entrepreneurship, Mebane returned home, took a quick nap, ate some breakfast and arrived at the Eiffel Tower to meet his very first group. “I had exactly zero customers that day,” he said. “The next day, we stayed consistent with zero. The third day, we had two customers who were friends of mine from Texas A&M.” Business remained almost non-existent for weeks on end. That advice paid off. The few customers who booked tours felt the same infectious energy Mebane had felt riding with his friends. 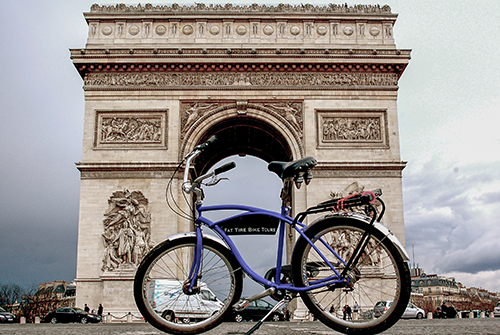 Slowly but surely, word of mouth picked up as customers told their friends and family about the amazing time they had exploring the City of Lights with Fat Tire’s charismatic Texan ringleader. Mebane quit his side job in 2000 and hasn’t worked another one since. Mebane lives with his wife and two children, ages 13 and 10, in Austin, Texas, where Fat Tire’s corporate offices are located. He’s delegated much of the day-to-day groundwork to trusted employees, but he still manages the company as it expands around the globe. He continues to spend a good portion of each year in Paris, where the company’s flagship franchise remains. It was while he was in his Paris office in 2015 that he got a serious wake-up call. Mebane was tending to business as usual when he felt a small pain in his chest that grew more and more intense by the minute. Previous tests and scans had indicated he was a prime candidate for heart disease. He looked up his symptoms online, and all signs pointed to a heart attack. He called his wife before paramedics rushed him to the hospital. He received two stents that day and has received three more since. The attack prompted Mebane to consider his priorities in life and health. “It certainly brought more perspective to me,” he said. “It forced me to become truly cognizant of my time in both quality and quantity.” Now, three days per week at 5:30 a.m., he and a group of about 20 men meet at a Starbucks in Austin to bike around the city together. Mebane has spoken openly about his experience at multiple events to promote heart health. Even though family has always been a priority, he’s committed even more to spending time with those who matter most. Mebane credits the Mays Business Fellows program—a premier undergraduate professional development program within Mays Business School—for exposing him to successful leaders and encouraging him to tackle big challenges early on. Upon a guest visit to Texas A&M in 2009, he asked the program to assign a few students a special project: create their own small business from scratch. The students pitched a concept for a frozen yogurt business. Together, Mebane and the business students founded the local College Station staple Spoons Yogurt, eventually selling the successful business to a franchisee. His advice to current students? Take every opportunity to see the world as early as possible. “Travel may be the best education,” Mebane said. “Interacting with different individuals, seeing history in three dimensions and solving any problems that come up along the way; these experiences are such a unique component of growing up.” To incentivize students to endeavor on such experiences for themselves, Mebane has given in support of study abroad scholarships through Mays Business School. From those first few disparaging days spent waiting for customers under the Eiffel Tower to today, Mebane tells his story proudly, so much so that he’s preparing to publish a book about his experiences before the end of the year. He regularly expresses gratitude for every opportunity to create long-lasting memories for his customers. Joy isn’t a byproduct of his business; it’s the entire model. “When people ask me what I do,” said Mebane, “I tell them I’m in the business of fun.” And business is good. Texas A&M is the No. 1 public university in the nation for the number of students studying abroad and No. 2 overall, according to the Institute of International Education. More than 5,000 Aggies in all majors study abroad each year in programs lasting from one week to a year. 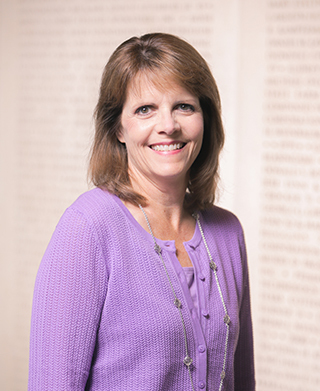 To learn how you can create study abroad scholarships for Aggie students, contact Marcy Ullmann '86 (below).